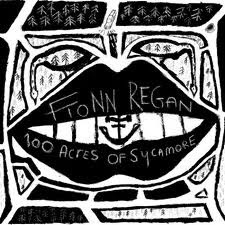 Like any young folk singer, Fionn Regan suffered/benefited from comparisons to Bob Dylan. It’s a lazy cliché to do so, and despite some strong songwriting, Regan’s debut The End of History was really nothing like Dylan’s. Although lyrically interesting, Regan’s delicate and fragile vocals bore absolutely no relation to the master’s nasal delivery – they’re probably more reminiscent of Nick Drake. Regan’s first album had taken some time to arrive, released a good five years after my first glimpse of him as a supporting act for fellow Irish act Gemma Hayes. His introspective performance belied an authority which permeated his songs and which really demonstrated itself on his second album, The Shadow Of An Empire. Here, the Dylan comparisons stand up to scrutiny. Whilst his debut was essentially just one man and a guitar, his second album went rock (or at least pop-rock). It wasn’t quite as great a transformation as Dylan’s decision to go electric, but it was a radical departure. But it wasn’t as good as his previous output: a fact he seems to have recognised by quickly putting out his third long-player. 100 Acres of Sycamore is a quietly beautiful album. Regan has unplugged himself from his amp returned to the folkier sound of his early work. Only this time he’s filled out his sound with some lush string arrangements. Whilst his guitar is still central to each song, the more detailed arrangements add a depth that was missing from The End of History. Lyrically it’s unashamedly romantic and Regan really knows how to pick a phrase – with each delivered in his wonderfully warm voice. It’s not an album to excite, but one which rewards repeated listening and can wrap you up like a warm blanket. Lovely.